Q. Do you offer Senior discounts ? A. We do not offer senior discounts, but we do offer a 10% OFF coupon on electrical service or repair. Our technician can provide you with one of these coupons. Q. Do you offer guarantees ? A. We provide a one-year warranty on all of our work per the California State Contractors Board requirements. This includes free repair, including parts and labor, on any work we performed within the last year. Q. Do you offer referral discounts ? A. 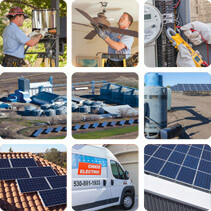 Yes, we offer a $300 referral check for each recommendation for solar installations where a contract is signed. Q. Do you offer free estimates ? A. We offer free estimates for customers in the Chico area. This includes a visit to the job, discussing the work being requested, and providing a complete proposal for the work. This applies to any electrical project, but we cannot provide estimates for service calls or troubleshooting. Q. Do you offer free consultations? A. 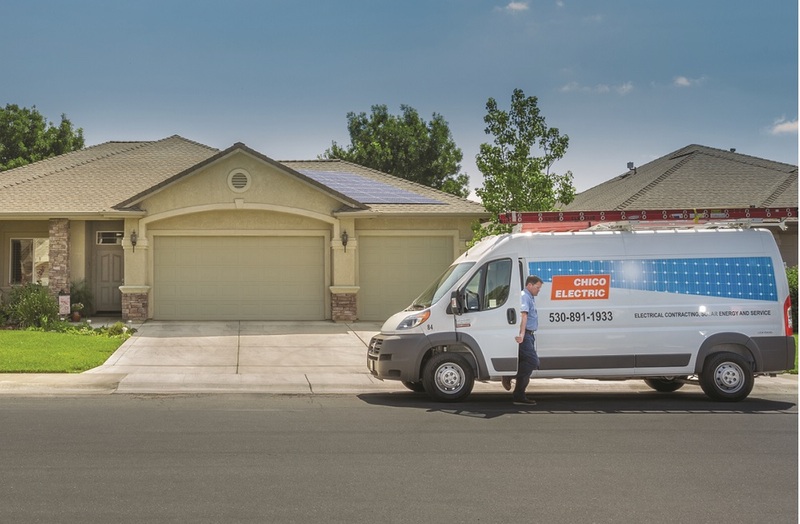 We do offer a free consultation for customers in the Chico area. If consulting requires multiple trips to the job site, we will provide ongoing consultation for a fee. Depending on the consultation required, we will inform customers in advance of any charges. Q. Are you current with national codes and requirements? A. We are up to date on all the current National Electrical Codes as well as California Electrical Codes. This includes Title 24, load calculations and electrical engineering, if needed.